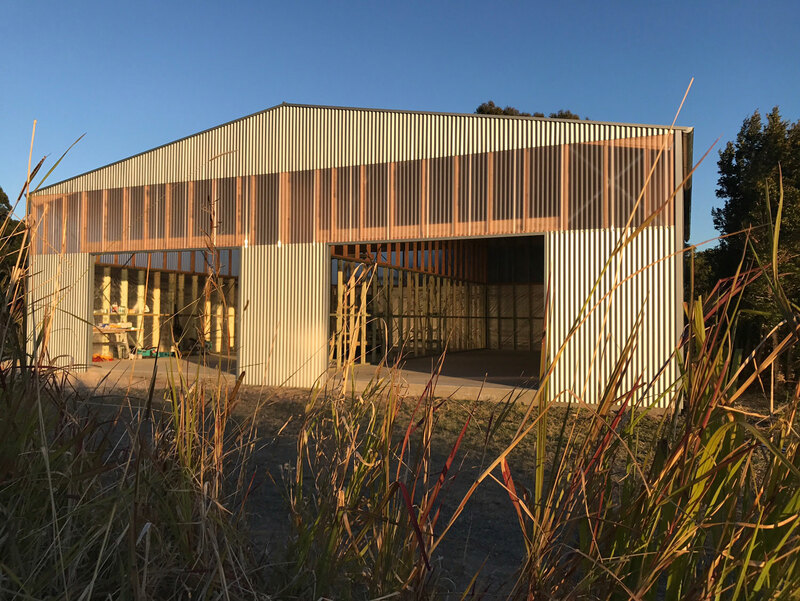 A multifunctional facility to compliment the proposed new dwelling that facilitates living and working within the natural bushland setting. 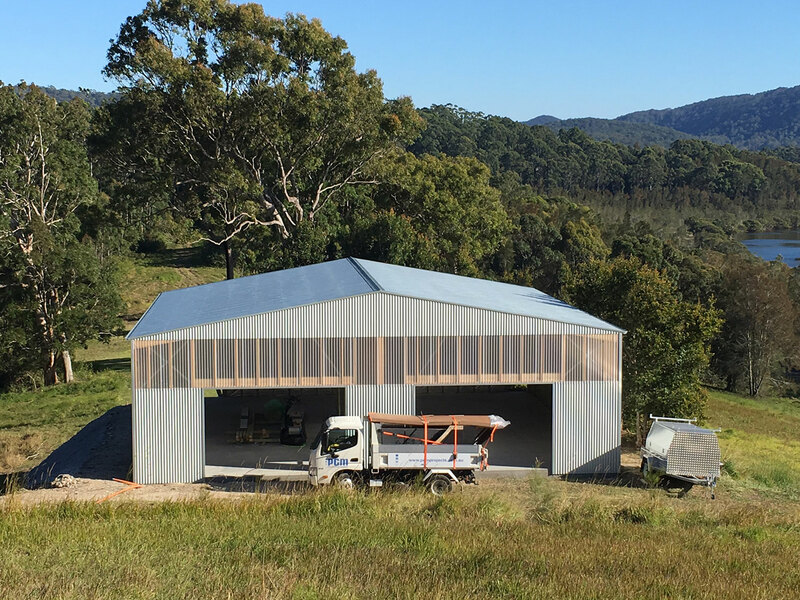 This workshop picks up cues from the local vernacular of the ‘Australian Shed’ but with a modern twist by incorporating corrugated polycarbonate cladding with exposed hyspan internal timber framing. The high level polycarbonate cladding allows a halo of natural light to flood the space for quality working light for the functions within. 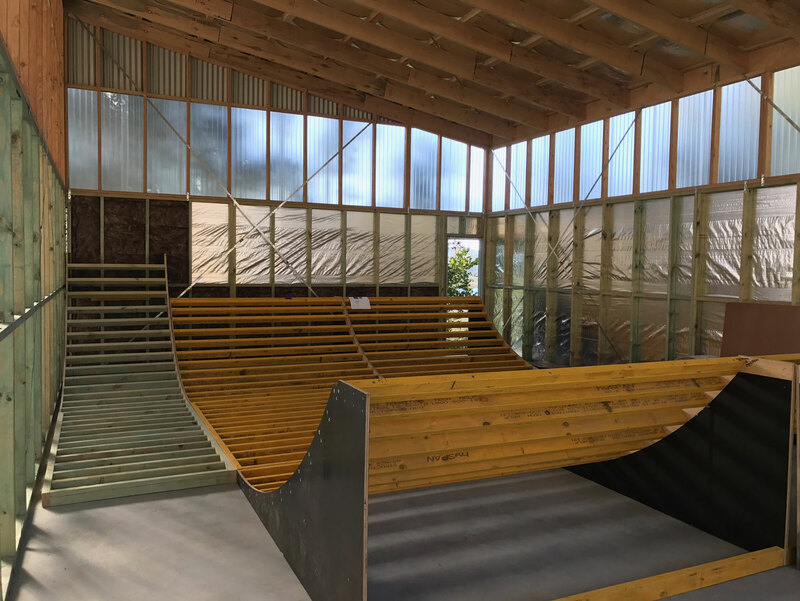 These functions include a joiners workshop on one side, and a skate park on the other, including kitchenette and storage.